Earlier this week, while Googling the phrase “addicted to endorphins,” I came across the blog of a lanky trail runner with knee-length dreadlocks who adopted the moniker “Ultrapedestrian.” Without yet knowing anything else about him, my first thought was, “Yes, Ultrapedestrian — what a perfect phrase to describe the running/ jogging / power-hiking / scrambling / shuffling / trudging / side-hilling / occasionally-sled-dragging combination that I practice.” Ultrarunning is not nearly descriptive enough when it comes to the beautiful struggle and challenge that is locomotion over long distances. 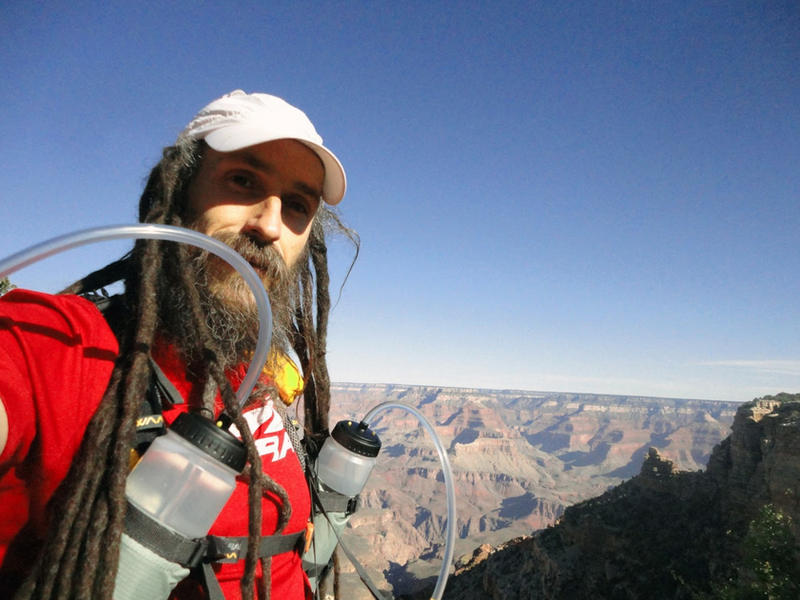 As I came to learn more about the Ultrapedestrian, Jason “Ras” Vaughn, I learned he recently completed a six-time traverse of the Grand Canyon, a triple rim-to-rim-to-rim in a continuous time of 68 hours and 10 minutes. The effort was part of Ras’s ongoing pursuit of “Only Known Times” — or completion of solo endeavors so outlandish that no one else has ever attempted them. Such unique challenges capture my imagination, and when I learned Ras was a vocal proponent of “slow running,” my intrigue was sealed. Ras entered the world of trail running as a backpacker who strove to increase his efficiency in order to achieve longer distances in less time. He admits the practices and accoutrements of road and track racing are foreign to him. “My worldview presupposes the need or desire to cover the same amount of mileage again this afternoon, and tomorrow,” he explains. Democratization of trail running — it’s a concept that makes you think. In trail running, as in any human endeavor, there are elite runners, and then there is the vast majority that is everyone else — as Ras aptly put it, “Running’s 99 percent.” Within the 99 percent there are a wide range of abilities, desires, goals, and limitations — and yet cultural conventions assume everyone aspires to mimic the 1 percent elite. Runners such as Ras occasionally step into the spotlight to remind us that it’s okay to be different, and it’s okay to aspire to unique and occasionally outlandish goals that bring personal fulfillment rather than parsing out the hierarchy of the 99 percent. 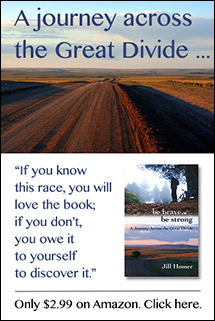 “Whether running can be an addiction or not is immaterial. Trail running predates the cultivation of poppies or marijuana or any other form of agriculture. It predates religion. It predates human speech. Trail running is an essential and quintessential human activity, an artifact from the Savannah, from when we were just distinguishing ourselves from the broader designation of ‘hominid’. Trail running cannot become an unhealthy addiction because it is neither unhealthy nor addicting. It is a proto-human behavior, a thing so deeply ingrained in us that the two cannot be separated, we from it. And there’s little profit in accusing us of being addicted to our own humanity. “Competitive Running will continue toward homogeneity. As sponsors invest more and more money into athletes and races, they will expect those athletes and races to produce more and more money. This will be accomplished not by bringing the average person onto the trail, but by bringing trail running into the average person’s living room via television and internet. Multiple loop courses will become de rigueur because they facilitate broadcasting. The smaller the loop, and the more laps required to make the distance, the less race and media infrastructure will be needed to create a network quality sports show. A fleet of cameramen is far more affordable than a fleet of helicopters, which would be needed to film a point to point 100 miler. Profits will increase, and with them will come all the baggage and benefits of any professional sport. Conversely, Adventure Running, running for challenge, achievement, and experience, will follow its bliss away from the trappings and limitations of Competitive Running. I foresee the advent of the Age of the Non-Standard Distance, organic distances based on geographic features. Classic trails, mountains, and rivers will define race courses. Upon completion of the 93 mile Wonderland Trail around the base of Mount Rainier, in Washington State, one doesn’t think, “Just seven more miles and it would have been perfect.” Running around The Mountain is enough, and if 93 is the number, then 93 is just fine. In trail culture each trail stands on it’s own as a test piece. How does the Tahoe Rim Trail compare to the Rim to Rim to Rim? It doesn’t. It doesn’t have to. The trail, the environs, and the geographic features define the course. The measurement is an afterthought. Hey cool Jill. Thanks for sharing. Interesting philosophies from a man who’s had a lot of time to think. Ras sounds way cool. I’d sit a spell with him and explore his mind for SURE! My. Hero. Slow, yet methodical. I love Ras! I “discovered” him a few months back and have been hooked ever since. We’re passing through his stomping grounds in a few weeks and hope to catch him on the trails. GO RAS!